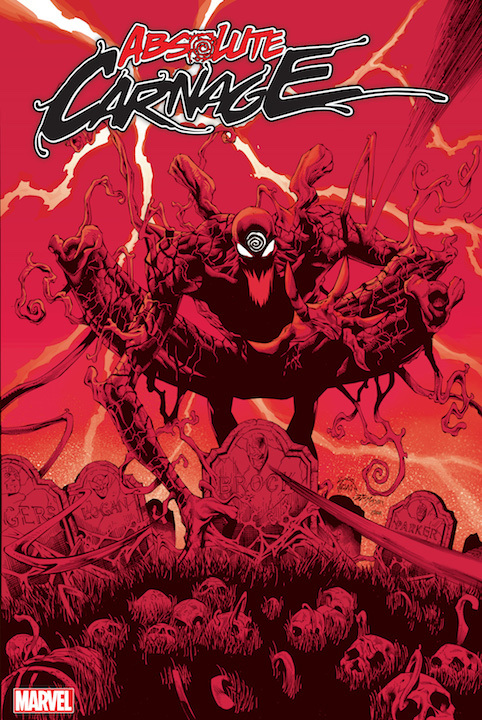 First Look: Absolute Carnage by Donny Cates and Ryan Stegman comes August 2019 – AiPT! Re-teams Cates with Venom’s Ryan Stegman and colorist Frank Martin for the deadliest story in the Marvel Universe! New York, NY–March 22, 2019–In a video during today’s retailer panel at C2E2 in Chicago, acclaimed writer Donny Cates (Thanos, Guardians of the Galaxy, Doctor Strange) announced ABSOLUTE CARNAGE – Marvel’s epic summer event! Beginning in Free Comic Book Day Spider-Man/Venom #1(out May 5), the blockbuster event starts in August (although fans will see the threads reaching as far back as Amazing Spider-Man 252 with connections to almost every Venom and Carnage story since) and re-teams Cates with Venom‘s Ryan Stegman and colorist Frank Martin for the deadliest story in the Marvel Universe!